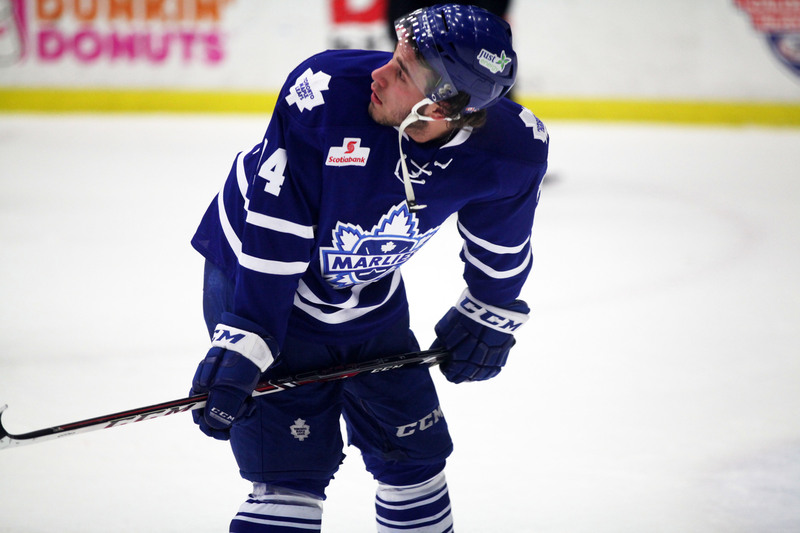 Toronto Maple Leafs‘ 5th round pick in the 2010 draft (#144 overall), center Sam Carrick(16) is heading into the final season of his three-year entry level deal. The 6′ 205 lbs. plays like a power forward and was definitely looking to make a statement as he heads into 2014/2015. Skating in 62 AHL games he managed to put 14 in the back of the net and help out on another 21, good enough to tie for team 5th in assists and he was a best +17 plus/minus. His chippy nature also lands him in the penalty box for long stretches. Hockeyfights has him listed with 9 fights to his credit in the 2013/2014 season. He also puts a decent amount of shots on net; his 142 tied for 3rd. Needless to say, he’s pretty active in the game. He seemed to put an exclamation point on all those career highs in the Calder Cup Playoffs, where he helped his squad along with 5 goals, 4 assists and a +2 rating. in 14 games before bowing out in the Western Conference Finals. Not bad for a guy that spent his first 50 pro games in the ECHL with Idaho Steelheads grinding his teeth, putting up points: 16-21-37 with a +15 before being put on permanent recall. Next it’s time to step up. He’s yet to receive his NHL summons. You can bet the still young 22-year old is going to be putting a lot of pressure on the parent club at 2014 training camp. 2nd year defenseman/left wing Drew Olson(21) leaves North American hockey to try his game in Norway’s GET-ligaen, signing a one-year deal with Lillehammer. 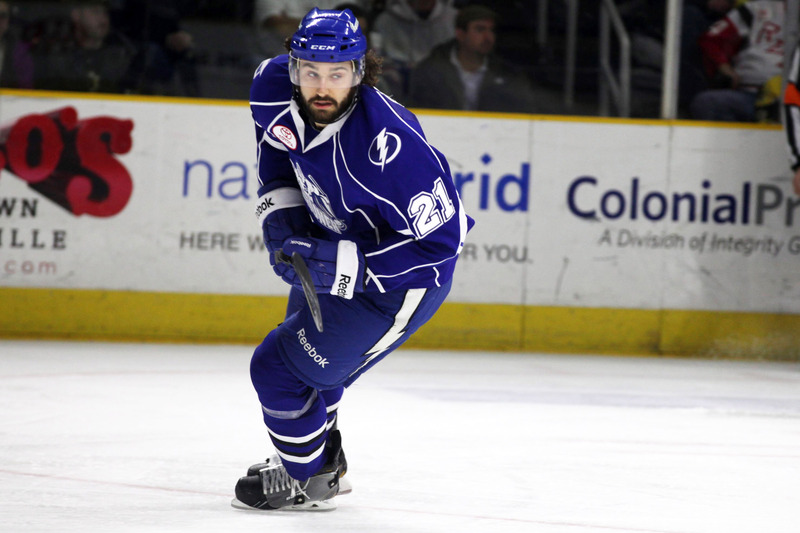 He played his rookie season under contract with Syracuse Crunch after being traded to Tampa Bay Lightning organization for future considerations before his first campaign started. Originally a Columbus Blue Jackets‘ 4th round pick in the 2008 draft (#118 overall), they seemed to cool on him as he played at University Of Minnesota-Duluth despite being part of the 2011 NCAA Championship team. In 47 AHL games he scored 3 goals and 1 assists with a -10 rating on squad that struggled to put together wins. The 24-year old skated the blue line for his college career but was switched to a forward spot when he arrived at the pro level. It looks like he’ll be back on defense when he starts overseas. 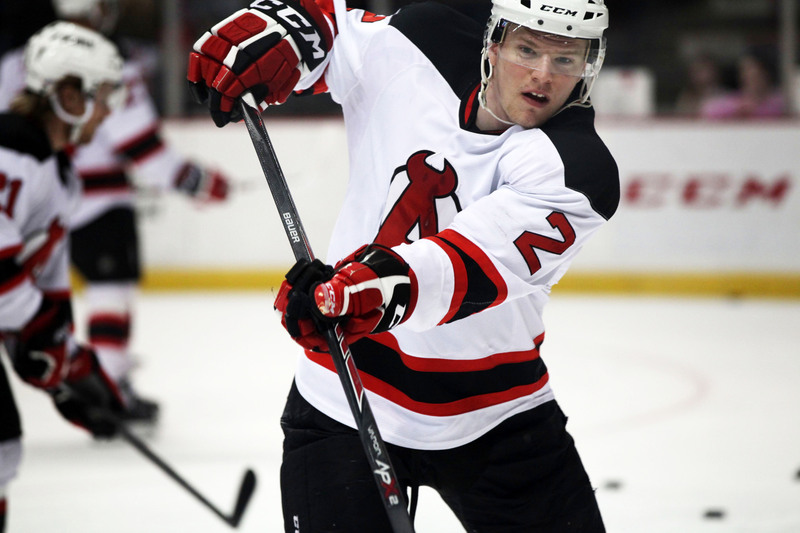 New Jersey Devils‘ 4th round pick in the 2009 draft (#114 overall) defenseman Seth Helgeson(2) has towering size at 6’5″ 215 lbs. and plays a punishing, stay-at-home style. He was selected after a pair of seasons as a teenager in the USHL with Sioux City Musketeers. Deciding to head to school as his next move helped him grow his game in four years at home state University Of Minnesota. He finished his NCAA career with a +16 rating, completely reversing his numbers from American junior hockey but only put up modest scoring totals. Once he turned pro, joining minor league affiliate Albany Devils for 75 AHL games in his rookie campaign, he scored only a single goal and credited with 9 assists, while running up 100 penalty minutes including 8 fighting majors. 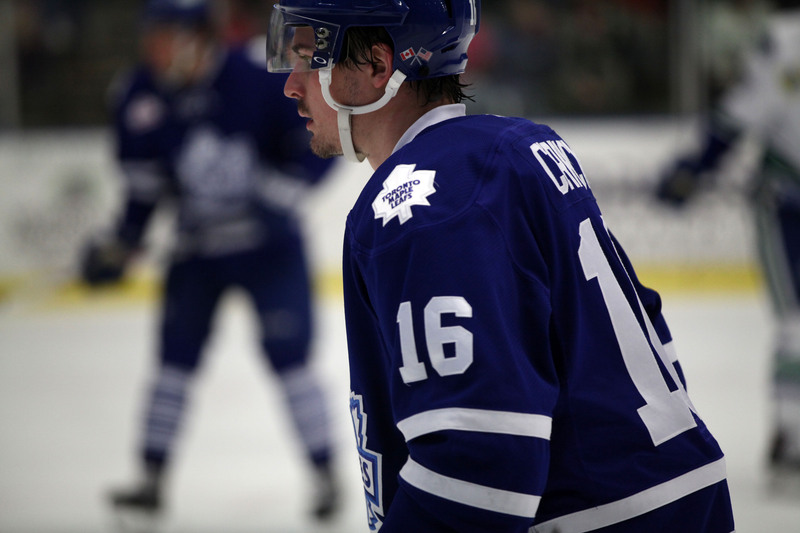 He was also a +12 plus/minus, helping the team to its first Calder Cup Playoff berth in a long while. The 23-year old was recalled on a couple of occasions by the parent club but has yet to appear in an NHL game. With a strong training camp heading into the final season of his 2-year entry level deal he could find himself spending some quality time in the show during the 2014/2015 season. 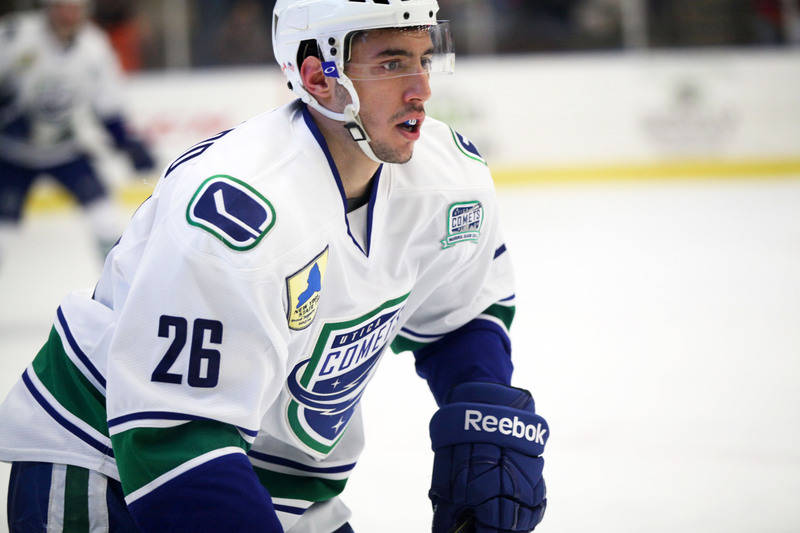 Vancouver Canucks‘ 5th round pick in the 2011 draft (#150 overall) defenseman Frank Corrado(26) has been under contract with the club for a couple of years now but only played a full slate of pro games this past season. He first appeared in a few AHL games (2 assists) with then affiliate Chicago Wolves and from there jumped up to play his first 3 NHL contests with the parent club and was impressive enough to appear 4 times in the 2013 Stanley Cup Playoffs. The 6’1″ 191 lbs. blue liner started his official rookie season on reassignment with the expansion farm team Utica Comets but just before the new year was recalled and that set a path for 3 more trips to the show. He ended his first campaign with 15 games in the big league. In this time he connected with his first goal. Through 59 games with the Comets, he had 6 goals and 11 assists. In four years of junior hockey in the OHL he was a pretty good set up guy that with continued digging could become a regular contributor to the score sheet. The 21-year old’s entry level contract runs through 2015 and could very well spend most of his time in his sophomore season in the NHL. 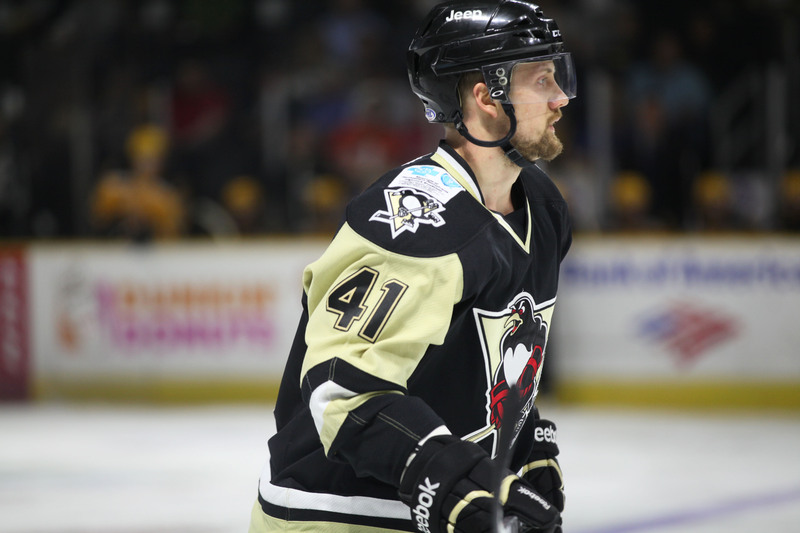 Wheeling Nailers‘ 4th year undrafted mini-defenseman Barry Goers(41) was recalled by affiliate Wilkes-Barre/Scranton Penguins on seven occasions, putting in an accountable effort when called upon. The 5’9″ 175 lbs. (minimum weight any player is 9/10 times given) was finally given an AHL contract within the last month of the regular season and with one more appearance in the postseason will outplay his previous high from his rookie year with Las Vegas Wranglers. Almost ironically he’s scored as many points in the current Calder Cup Playoffs, a pair of assists, as he did in the 2010 Kelly Cup Playoffs. The 27-year old veteran blue liner could easily sign another ECHL contract for 2014/2015 and follow a similar path of call-ups but he may also earn himself a roster spot out of training camp or earlier in the off-season. Toronto Maple Leafs‘ 3rd round pick in the 2011 draft (#86 overall) rookie right wing Josh Leivo(14) has put together a fantastic first year, mostly on reassignment with minor league affiliate Toronto Marlies. In 59 AHL games he posted 23 goals (good enough for 2nd on the team) and 19 assists with a +6 rating. He was also recalled to the parent club, skating in 7 NHL games with one tally and one helper to his credit. The 6’2″ 195 lbs. power forward plays an aggressive but smart style, hard and honest without taking unnecessary penalties. His time in the sin bin is minimal. Through three years of junior hockey in the OHL, he was virtually a point-per-game guy that showed an uptick of performance come playoff time, putting up 28 points in 22 games. 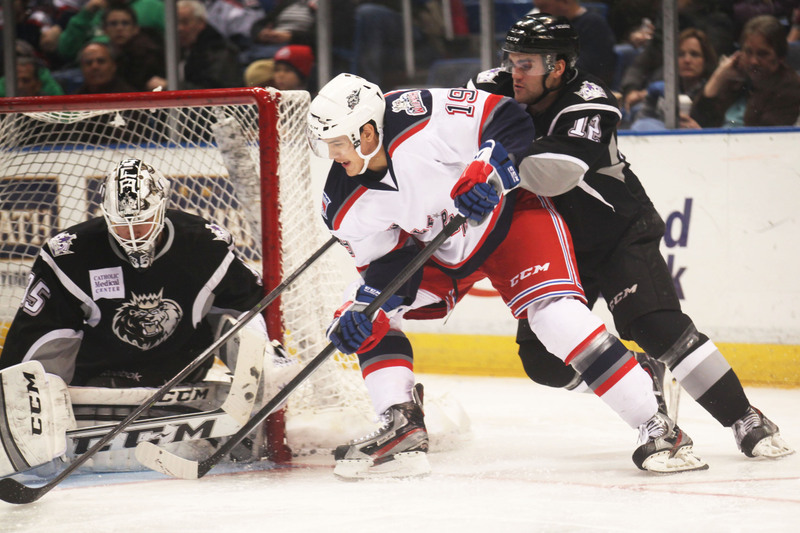 In the 2014 Calder Cup Playoffs, the 21-year old is back at it. In 11 games he has 3 goals and 5 assists. With continued hard work in the off-season, he could easily make a strong bid for a more permanent roster spot with the Leafs. 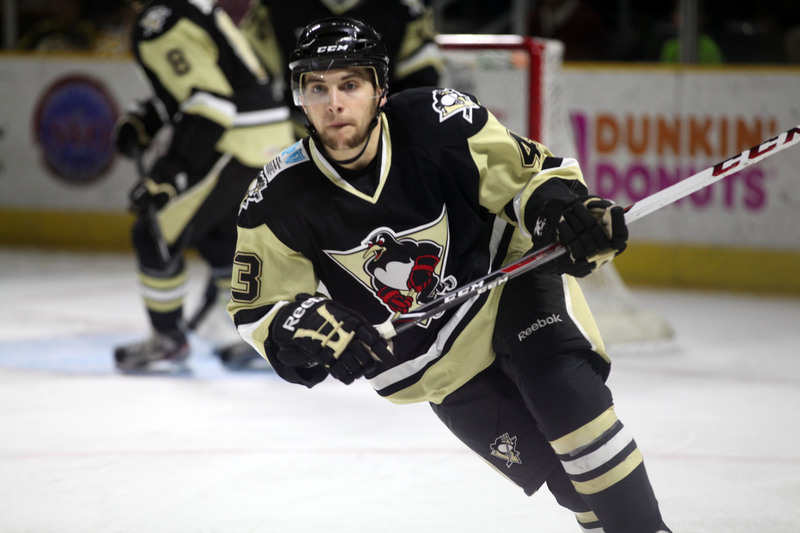 Undrafted left wing Conor Sheary(43) signed an ato with Wilkes-Barre/Scranton Penguins after finishing up his fourth-year at UMass-Amherst. He put up some decent numbers at college but wasn’t really on anyone’s radar at the next level. The small 5’8″ forward put on some significant weight bumping him up to 175 lbs. as he joined the AHL for the remainder of the regular season but didn’t connect. Inserted into the lineup for the third game of the Calder Cup Playoffs first round, he notched an overtime game-winning assist to help solidify his spot in the lineup and tallied his first marker in game 2 of the semi-finals and then started dotting the score sheet to the tune of 6 goals and 4 assists in 13 postseason contests. His consistent contributions have caught the attention of the parent club, Pittsburgh Penguins, who are now likely to sign him to an entry level contract. The soon-to-be 22-year old had an agreement for a one-year deal to join WBS Pens for his rookie season as outlined in Elite Prospects and may start here but a player that has always stepped up his compete level may get his shot at the ultimate hockey prize, the NHL. New York Rangers‘ undrafted rookie right wing Josh Nicholls(19) had a good year on reassignment with ECHL affiliate Greenville Road Warriors. Anaheim Ducks‘ 2nd round pick in the 2012 draft (#36 overall) left wing Nic Kerdiles(8) leaves two years of college on the shelf after a pair of successful seasons to sign his entry level deal that runs through 2016. He was a more than a point-per-game player at University Of Wisconsin and won an NCAA/WCHA Championship as a freshman. He was named MVP after a 10-point tournament effort. The 6’1″ 200 lbs. 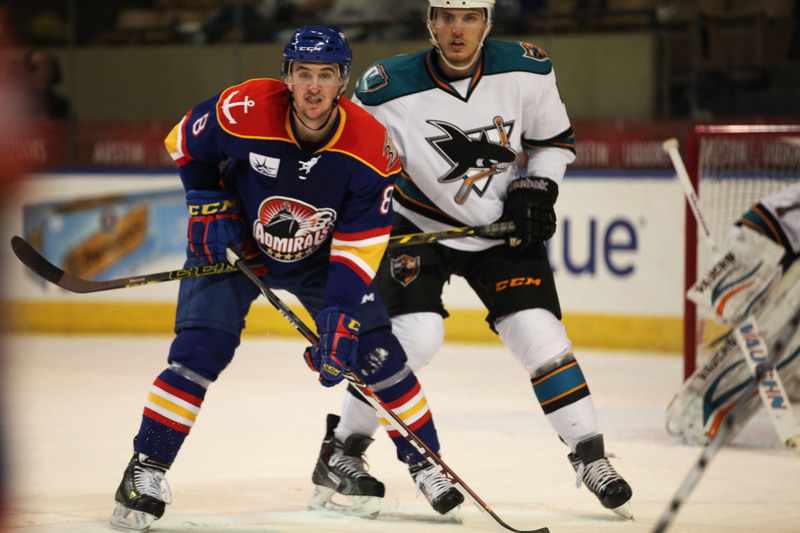 forward joined minor league affiliate Norfolk Admirals on an ato to finish off 2013/2014, where he notched his first pro goal and three assists, helping the team to a Calder Cup Playoff berth. In 10 postseason contests through the first two rounds he added another 3 tallies and another helper to help solidify his standing as he heads into his rookie year. The only 20-year old born in the heart of hockey, Lewisville, TX, skates an aggressive game, always digging for the puck and getting himself into the open spots for scoring chances. He should make an impact going into training camp and make it difficult to send him down to start his first full season in the AHL.